Finally, my wrist is getting sore. Oh ho! 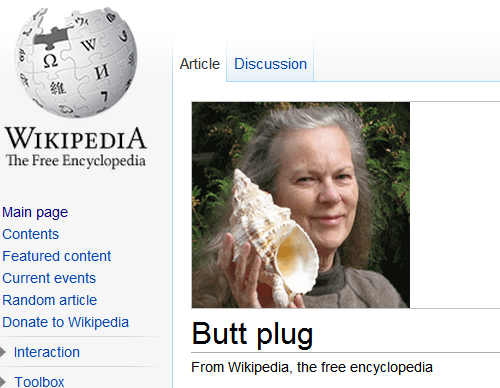 I see what you've done there, Wikipedia. Um, I don't think that's a... never mind, you'll find out. Damn, that's a fine piece of... image. Whoa whoa, don't get aggro with me, bro. The greatest explanation of anything ever. A famously mild-mannered and reserved fellow. Wow, da Vinci really got a lot done, didn't he? They just wanna see you shake your booty. Then nick it. Clever. Bit too clever, really. I'll be back... to pick up the kids on the weekend. I never appreciated the poetry in Flo Rida's song 'Low' until Wikipedia explained it. But where is it? Oh... oh. I mean, yeah, Joan Collins is ded. Was that really all that happened? 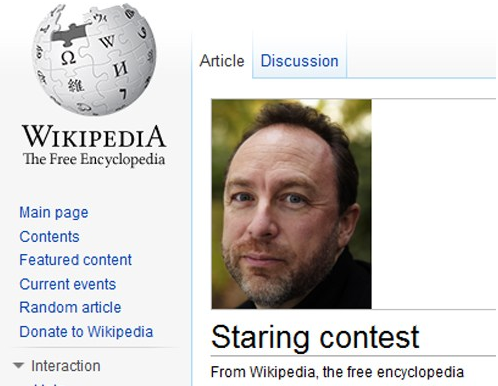 Is... is Wikipedia encouraging us to go out and kill?